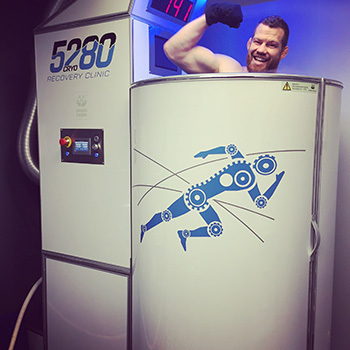 Whole Body Cryotherapy (WBC) is a cold air session that works by standing inside a cryotherapy chamber for a period of time that lasts 2-3 minutes. Cold air is blown over the body to stimulate the sympathetic nervous system, causing a dramatic peripheral vasoconstriction followed by a dramatic vasodilatation. 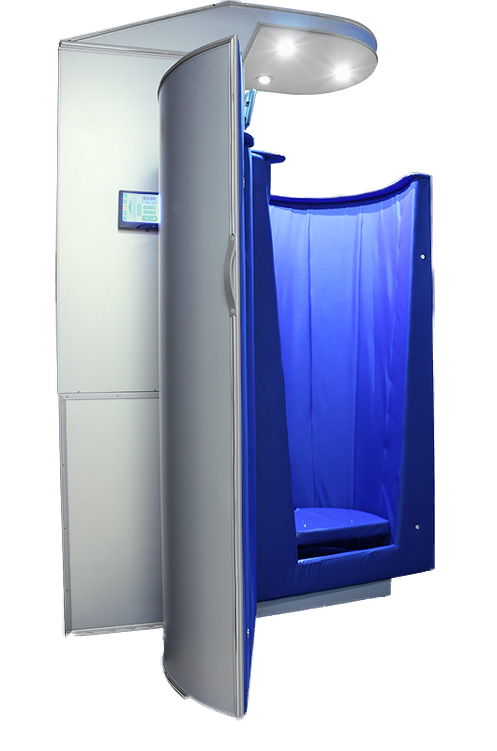 The Cryosauna uses gasiform nitrogen to lower the skin surface temperature by 30-50 degrees Fahrenheit over a period of two-three minutes. The skin reacts to the cold and sends messages to the brain that acts as a stimulant to the regulatory functions of the body, causing a flight or flight response and adrenaline response. The skin exposure to the extreme temperatures also triggers the release of anti-inflammatory molecules and endorphins. How does it compare to ice baths? It doesn’t. It is simply not possible to achieve the same temperatures and effect with an ice bath. 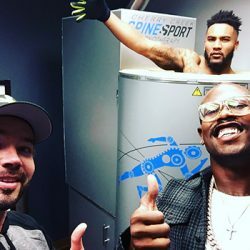 Furthermore, an ice bath is generally an excruciating 12-15 minutes or longer wet process, where, cryotherapy is only a 2½ to 3 minute completely dry, pain-free session. 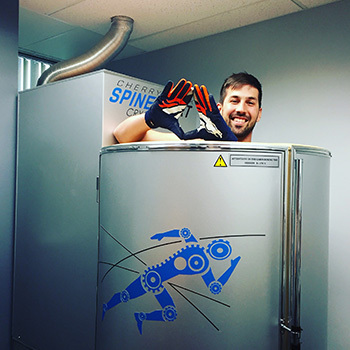 Generally, most people report ice packs are even more uncomfortable than a cryo session. What is the history of WBC? Research conducted over the last two decades has established efficacy of WBC in a wide range of areas. Most research has been focused on pain management and athletic performance. Initially the technology was developed in Japan and has more widely used in eastern Europe for 30 years before use more recently having been introduced in the United States. Olympic and professional athletes from the NFL, NBA, MLB, NHL, Crossfit, etc. 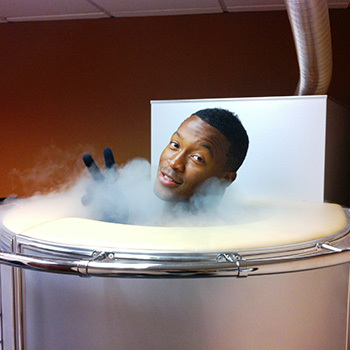 have been using Whole Body Cryotherapy in the U.S. since 2011. Initially these machines were only available in professional athlete training centers and generally not available to the general public. 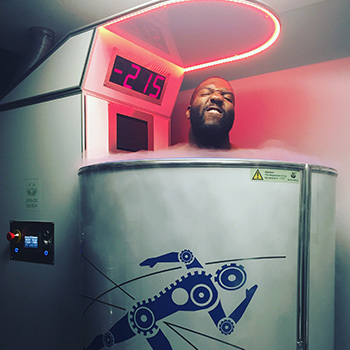 As more and more high profile athletes and celebrities use cryotherapy, it has become more mainstream and more widely used as availability for general use has risen. The bodies response to cold air from WBC is merely due to the perceived threat that the body is freezing; when, in fact, only skin temperature is affected. WBC stimulates the sympathetic nervous system via alpha-adrenergic receptors (thermoreceptors), causing dramatic peripheral vasoconstriction. This induces adaptive changes correlating with effects of analgesia (pain relief), reduction of inflammation, and an increase in blood serum markers for tissue repair. Before entering the Cryosauna, clients are required to dress in protective clothing composed of cotton socks and underwear (which is provided). You will also be provided with a robe, which you will remove once you are inside the Cryo-chamber and the door is closed. You will be supervised at all times during each session. Only your hands and face are visible to the operator during the procedure, so modesty is preserved at all times. Additionally, it is a dry, gaseous cold and is not painful like ice baths. This means the treatment is tolerable even to those who may consider themselves cold-intolerant. 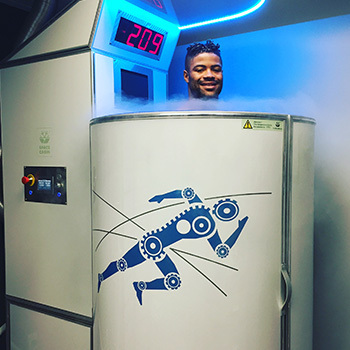 Whole body Cryotherapy is very well tolerated and has minimal risks. Those who are treating for hypertension, or who are pregnant, may not be able to treat using Cryotherapy. Fluctuations in blood pressure occur during the procedure by up to 10 points systolically. This effect reverses after the end of the procedure as peripheral circulation returns to normal but can be stressful on the heart to those with heart conditions. Rare allergic reaction to extreme cold (Reynaud’s disease), anxiety, activation of some viral conditions (cold sores) etc may also be contraindications to use. Let your doctor know of any concerns or conditions before treatment. Near Denver and interested in trying out Cryotherapy? View our pricing below and schedule an appointment at one of our facilities today!